La Lola finally heard my prayers and offered shorter-sized churros that came in fewer numbers! 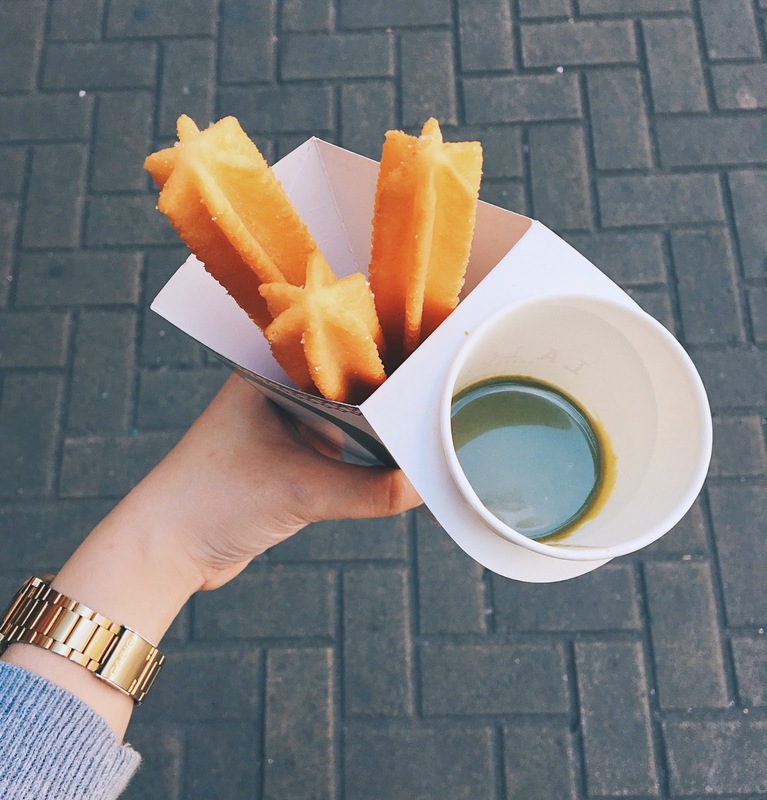 It's been awhile since I last purchased churros from this churreria because I easily get sick of the taste of their food because of how huge each one is. To add to my frustrations, the smallest size of classic churros they used to offer was the 6pc. 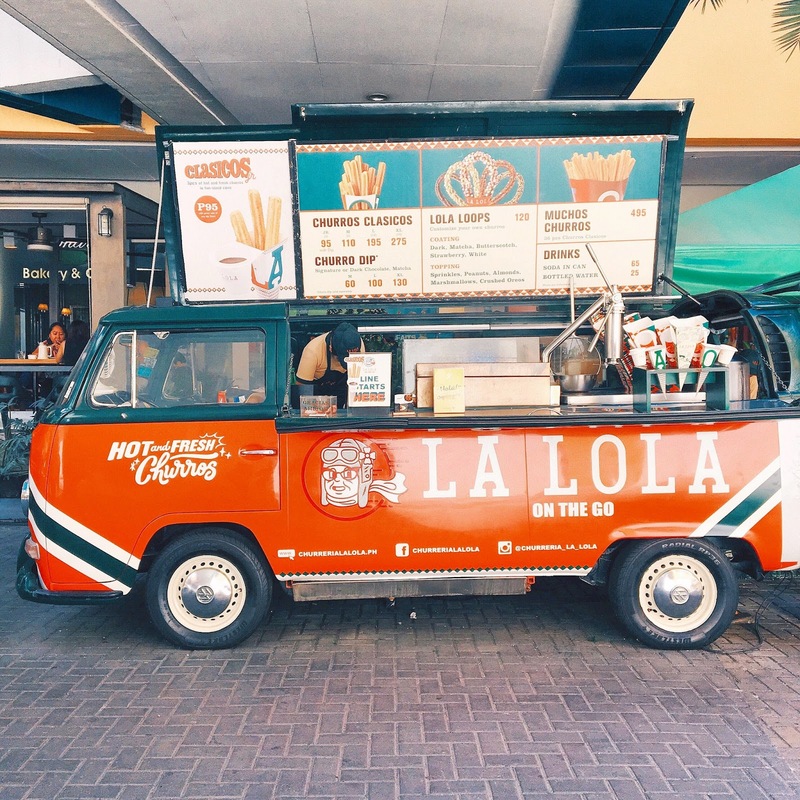 But then, this year, La Lola came out with their Jr. Churros Clasicos, which is a 3pc shorter-sized classic churros with a junior sized dip worth P95. 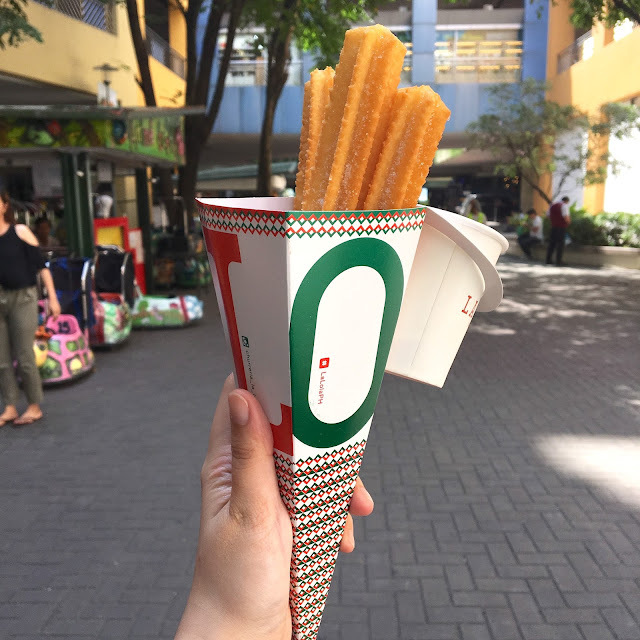 So when my officemate craved for churros, I suggested that we drop by their branch at MOA with no hesitations on my part. We got the dark chocolate and matcha as our dips. I loved both of it! The dark chocolate was bitter-sweet, while the matcha really tasted like matcha. This size is definitely just right for me. La Lola was able to win me back! P.S. They didn't use sprinkle some sugar on the churros, but on this visit (in this branch) they did, which also kinda explains why I liked this visit than my previous ones.